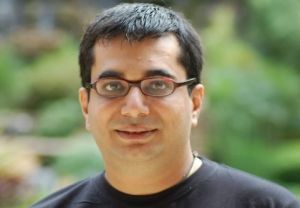 Vishal Gondal is the head of media and entertainment group UTV's gaming subsidiary IndiaGames, which is also one of India's largest game developers. IndiaGames posted a net profit of Rs 2.47 crore in the fiscal year ended March, 2011, on the back of high traction in mobile gaming and online subscription-based gaming. In a chat with Techcircle.in, Vishal Gondal, founder & CEO of IndiaGames Ltd, shares his views on the current ecosystem, challenges, monetisation models, operator decks, gaming on Tablets and the growth of the domestic gaming market. 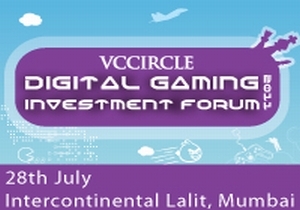 How do you evaluate the current gaming scenario in India, compared to the global market? Globally, gaming is a huge activity, whether it is China, Korea or Japan. The biggest gaming trend is social network gaming, especially on Facebook. And Zynga's upcoming IPO also confirms the fact that this segment is growing faster than ever. Plus, with companies like Netflix, video is another major trend. So, these are the two key categories that will benefit with the growing broadband connectivity across the world. India is witnessing the rise of 3G and MNP and we are only now getting a base of users. In a way, I'd say it is good that 3G came late to India. Only with the iPhone are we able to unlock the true potential of 3G. 3G is hitting us along with smarter phones and mass adoption of mobile internet. The growth of Android OS in India also brings with it faster access to internet and faster devices. Are we innovating enough in gaming? From IndiaGames' perspective, we do not bring copies of the US and the Korean games in India. There are others who launch copies of the Western games. But we have done what we think will work for India as a market. For example, we selected cricket as a category and transformed the best cricketing experience into a game called T20 Fever. We need to innovate and create games that work with the masses and not the 150th farm game. How many mobile gamers are there in the country and what's the size of the domestic market? The overall gaming market will be around $200 million, according to NASSCOM. By our estimates, the current mobile gaming market is at $100 million, at end-user prices. The number of gamers paying every month varies anywhere between 12 million to 15 million while the number of free downloaders can be up to 40 million to 50 million (unique users). What are the scalable models for monetising games? I believe it's the right time to introduce models like Freemium. As ARPUs continue to drop, and people may not always have enough balance on their phones, they will be more interested in free content. We are witnessing a huge percentage of people who are playing for free â€“ online and on the mobile. Large youth brands are also keen to target users through games. Unilever wanted to reach the young male audience for Vaseline and showed interest in our IPL game, since the target audience is similar. We are also ensuring that premium experiences and gaming content become much better with transactions, either through ads or by allowing users to buy full versions of the games. We also need to have more innovations like operator billing and must find solutions for the Indian market. Your online subscription model Games on Demand grew almost four times last year. What are your expectations for this fiscal? I would not celebrate it as it is growth on a smaller base, but it shows that the model is working. Games on Demand is now being replicated by other gaming companies. We have recorded decent growth overall and will now extensively scale this business and further strengthen our relationship with broadband operators. Will gaming sustain on operator decks? The challenge is to fine-tune our monetisation models. Today, operators are taking away revenue shares from us â€“ we receive 30-35 per cent of the revenue share while our global peers get 70 per cent. If we were a US-based company, our revenue bookings would be three times than what we are getting today. We are currently operating at thin margins. If all players wanted to experience exponential growth, they should adhere to global percentages and change this 35:65 ratio favouring operators. The proof is there all over the world. Operator decks have become irrelevant in the USA. But in India, the majority of our business still comes from operators, rather than app stores, and telcos operate both broadband and mobile networks. Globally, Apple is getting aggressive, as is Google, and independent app stores are rising fast. If operators do not toe the line, they will lose out on future growth. What about games on Tablets? Tablets will bring up some interesting opportunities for gaming. Ultimately, Indians are going to graduate from mobile to Tablet and will not use PCs. So there's immense opportunity when it comes to developing apps for learning and gaming on Tablets â€“ especially the Android-based Tablets, not the iPad. In India, we are already the largest game-provider for Tablets and offer 8-10 games such as Bruce Lee, IPL Cricket, Godzilla, etc. And we will be launching a lot more. In the company's annual report, there is a mention of a rural gaming initiative. Can you tell us more about it? What are the new games in the pipeline? We are still devising our strategy around it and cannot share more details. But we will announce a few large titles in the next few months, which will be launched across all digital platforms. Plus, we are continuously investing in people. We currently employ 270 and plan to hire 50-100 more this year for product development and innovation. What are the milestones you are aiming at? I would consider it a milestone when gaming becomes as big a business as the movie business. Think of SMSes â€“ from the initial stage when very few text messages were sent and received to the billions which are sent today. Within the next three to five years, data usage will become as popular SMS, and that will be a game changer!